So here I am posting out of the blue, as I have been tapped to help spread the word about a remarkable woman named Irena Sendler. I must admit I had not heard of Irene but upon reading this and doing a little more research myself I felt incredibly moved (and admittedly, teary-eyed) by her courageous efforts to selflessly help Jews, even at risk to her own life. Please take a moment to read her story and reflect on what it is to stand up for someone, or in this case, many people. April 2013 marked the 70th anniversary of the Warsaw Ghetto uprising, renewing attention on one of the most terrible episodes of the Second World War. Over the past few years documents have come to light from hidden archives that shed new light on the ghetto uprising as well as information about the leaders and other ghetto residents. Much of the research about the ghetto is conducted by professionals who work out of Yad Vashem, the U.S. Holocaust Memorial and other well-known centers of Holocaust scholarship. One remarkable episode was documented by a group of schoolgirls from the Lowell Milken Center of Uniontown Kansas who heard a rumor about a Polish non-Jewish woman, Irena Sendler, who saved over 2500 Jewish children from the ghetto. In their investigation the girls expanded on the few known details which resulted in a wide-ranging project that forms the basis for the Life in a Jar book, website and performance. Irena Sendler was a young Polish social worker when the Nazis invaded Poland in 1939. She worked for the Warsaw Department of Social Services and was assigned to try to help Jews who had been displaced and impoverished by the Nazi invasion. Simultaneously Sendler joined the Zagota underground and became active in helping to forge papers for Jews and find hiding places or go underground. When the Nazis completed construction of the Warsaw ghetto in 1941 they interned close to a half a million Jews in the three square mile enclave. Hunger and disease were rampant. 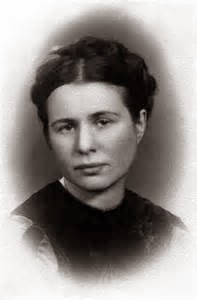 Irena Sendler obtained papers that identified her as a nurse who specialized in infectious diseases. These papers allowed her to enter the ghetto at will and she began to bring in food and medicines to the starving people. Within a short period of time Sendler realized that she could do more good if she concentrated on what she could take out of the ghetto -- children. She learned different ways to smuggle the children out of the ghetto....sedated and hidden under her feet on the tram, stuffed into toolboxes and luggage, on garbage carts under piles of garbage and through the sewers and underground tunnels that connected the ghetto with other parts of Warsaw. Sendler began to evacuate orphans who were living on the street but she soon started to contact families, asking them to allow her to take out their children. This was traumatic, both for the parents, who had to decide whether their children had a better chance of survival inside or outside of the ghetto. It was traumatic for Sendler as well. "I talked the mothers out of their children" Sendler said in an interview conducted over 60 years after the end of WWII. "Those scenes over whether to give a child away were heart-rending. Sometimes, they wouldn't give me the child. Their first question was, 'What guarantee is there that the child will live?' I said, 'None. I don't even know if I will get out of the ghetto alive today." It's estimated that Sendler managed to smuggle over 2500 children out of the Warsaw ghetto before it was destroyed in 1943. In addition to the smuggling operation Sendler and her Zagota comrades were responsible for finding hiding places for the children -- in convents, orphanages or with sympathetic Polish families. Sendler recorded all of the names of the children on tissue paper along with their hiding places, and placed the tissue paper in jars which she buried in her garden, hoping to reunite them with their families after the war. In October 1943 Sendler was arrested by the Gestapo and imprisoned in the feared Piawiak prison. The Gestapo tortured her but she didn't reveal any information about the children's whereabouts or about her Zagota comrades. The Germans sentenced Sendler to be executed but Zagota was able to bribe a German guard and secure her release. Sendler lived out the remainder of the war in hiding. Sendler was awarded Yad Vashem's Righteous Gentile honor in 1965 but the Life in a Jar project, begun in 1999, spread the story of her bravery much further. Today people throughout the world can learn about Sendler's courage thanks to a group of Kansas schoolgirls and their social studies assignment.